Moreni - ROMANIA - Welcome to our Comenius Project Website! 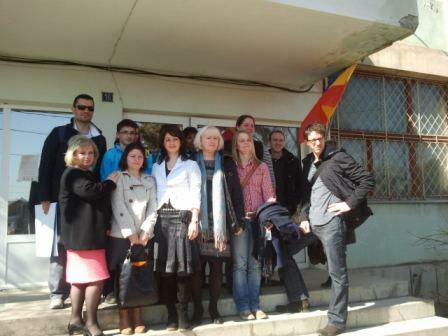 The 5th Comenius Meeting was organized in Moreni, Romania. It took place between 15th -19th March. The topic of the meeting was Migration Challenge. Students and teachers gathered information about the scale of migration in each country and school participating. The second product was a play with characters such as Evolution, Change, Diversity, Globalization and Poverty. Lifelong Learning Programme through our project Preparing for the 21st Century: Challenges Facing a Challenging Society is committed to actively racing the quality of life for every child. We want all children, regardless of race, creed or circumstances to achieve their full potential. Our task is to make it possible. Our mission is to provide practical, step by step assistance. Our students are in the ace of many challenges. They must be prepared to encounter the real world. Students should know that these mega-problems are multinational. None could be solved by one country alone. All countries participate to different degrees in causing most of the problems so they should naturally participate in the solutions. This meeting has created a real-to-live environment where students from different countries indeed have the opportunity to debate global and European issues.